My children’s favourite “restaurant” dish is butter chicken. Of course, we rarely set foot in an Indian restaurant for a number of reasons: 1. the food is less than mediocre 2. it’s EXPENSIVE less than mediocre food. I have eaten the best Indian food, not at any restaurant, but at the homes of my relatives and friends. I, too, am not a bad hand so why inflict the punishment of bad food on ourselves? The only time we did go to eat at an Indian joint was when it was a big family event and we were invited or when no one wanted to cook. I have yet to try a place here in Colorado. 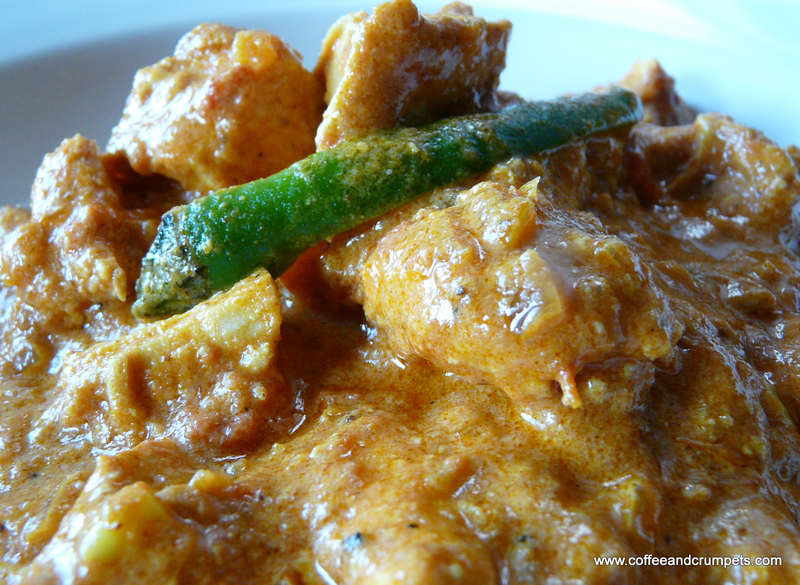 Butter chicken was first made in North India. Both these dishes are fairly new additions to the Indian cuisine but have soared to amazing heights. Like I mentioned earlier, both dishes are very similar with the main difference being the addition of fenugreek leaves in the butter chicken. This adds an exotic and bold flavour to the butter chicken, shining through all the buttery, creamy sauce that envelopes the tender pieces of charbroiled chicken. 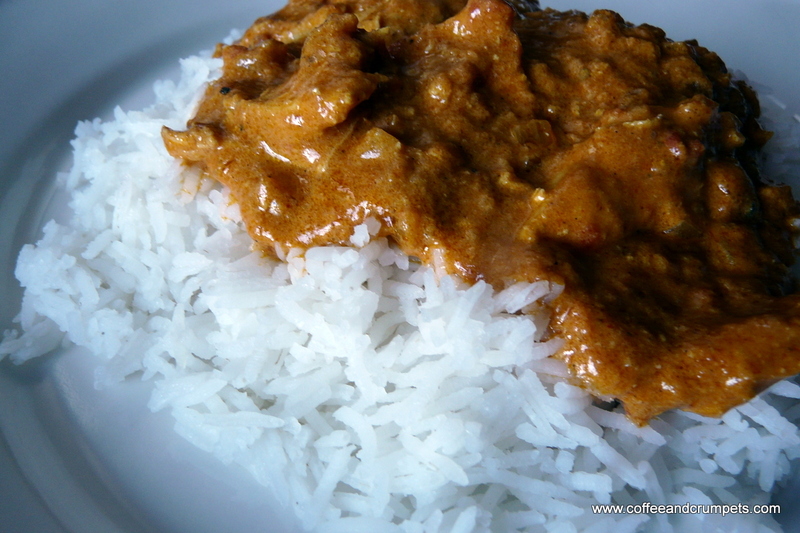 Since the chicken tikka masala came about quite by accident, it is a fairly simple dish. Basically, tandoori chicken thrown into a tomato and onion based masala and finished off with some cream. I add some nuts to my sauce to increase the body of the sauce and add some extra creaminess. Marinate overnight or at least for 5 or 6 hours to get good flavour. If you are grilling outside, cook until just done but still soft. They will cook again in the sauce. In the oven, you can broil them or just bake them at 400 deg F/190 deg C for about 30 minutes. Heat 2 tablespoons of oil in a pan and add the cardamom pods and the onions and fry until light golden and soft. Add the crushed tomatoes and a touch of water (1/2 cup or so), just to loosen up the tomatoes a little. Stir everything together and cook covered on medium low heat for about 10-15 minutes. Check occasionally to make sure the tomatoes are not sticking and if a little water is needed to soften things up add a 1/2 cup. After 15 minutes, the tomatoes and onions will have softened up and become a homogenous mixture and the oil will be separating. Add the green chillies and the chicken. Simmer in the sauce for about 5 minutes or so making sure the chicken is thoroughly cooked. Add the cream and ground almonds and simmer gently for another 5 minutes. Basically, it is the creamy sauce that entices your palate. So, who cares if it is from India or Britain? Really enjoyed reading your post and recipe. I mostly thicken the gravy with cashews but almonds are good,too. Nazneen,I don’t understand why I receive your posts so late? It didn’t reach my inbox last night until 10:30 PM. Yes, I sleep early. I thought i mistakenly deleted it while checking mail on I phone. But No it was there when I opened my mail today. lovely and guess what SAt-Sun .. all the free time to cook this .. Thanks Bikram! I appreciate you stopping by and for leaving a comment! Thank you and thanks for stopping by! I didn’t grow up eating this but I know my children will…funny how that goes. Yum!!! I have not made either recipe but I will soon. I tried something called “Balti Chicken” from an Indian cookbook I got at a discount store. It was pretty good. Please share with us your most favorite, maybe most authentic Indian dish. What was your favorite dish made by your mother? The only way I can ever try Indian food is to make it myself I think. We have tried one Indian restaurant in Boulder and one in Denver. The Boulder one was mediocre, actually kind of creepy, very dark inside. The Denver one was OK, but I have nothing to compare either one to. My mother made way too many great dishes to name just one! I have so many favourites but one of my greatest comfort foods is biryani. Unfortunately, Denver doesn’t have the same kind of restaurants as in the other bigger/ethnic cities like Houston, Chicago or places in New York. My dad was most disappointed in the offerings here. I guess the norm here, atleast with Indians, Pakistanis and Arabs here, is not to eat out. There is such a need (mine mainly!) for a good Indian/Pakistani restaurant here with authentic kebabs and naan. If I had the funding, that’s what I would do first. That is one of my goals. If you want a decent Arabic place to eat, Ali Baba’s in Golden is pretty good and Sultan Grill in Arvada. Chicken Tikka and butter chicken are like cousins .. you know .. 🙂 And both these chicken dishes are fabulous. 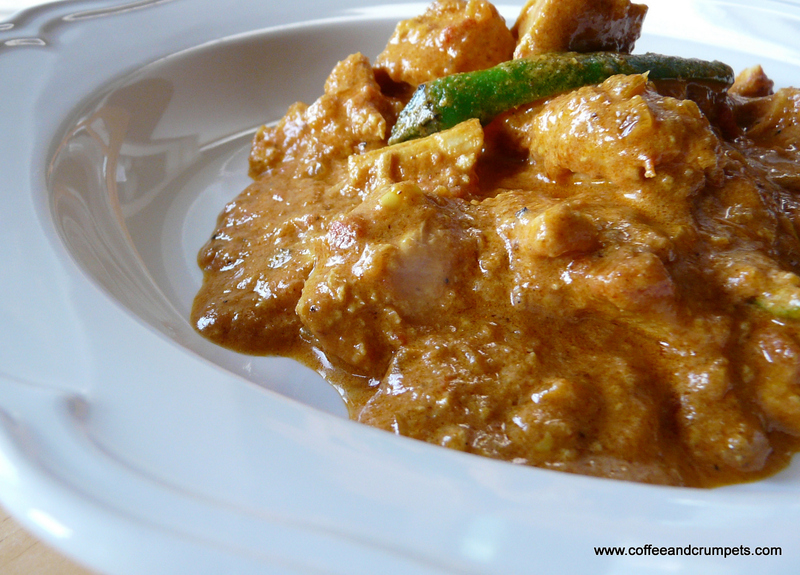 I have a butter chicken in my blog .. the tikka masala is yet to give an attempt! This looks fantastic.